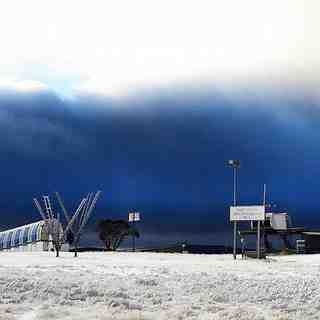 Is it snowing in Falls Creek ?Thank you! Falls Creek is 356kms (about 4.5 hours) from Melbourne and approximately eight hours' drive from Sydney. 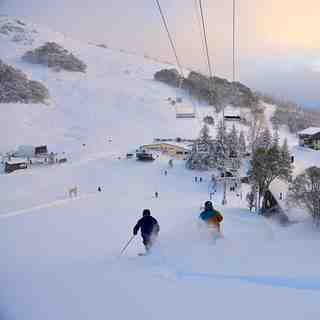 Falls Creek enjoys some of the best snow cover of all the Victorian ski Resorts, combined with the ambiance of a beautiful Alpine Village. It has 450 hectares of ski terrain for the downhill and snowboarding enthusiast and a fully integrated lift network. 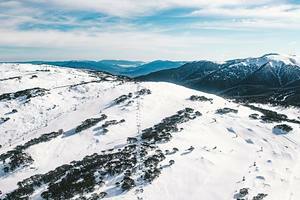 For the cross country and ski touring skiers, the Bogong High Plains offer some of the most beautiful mountain scenery anywhere. 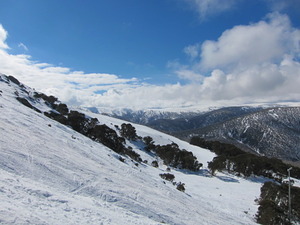 2004 saw the addition of a super pipe, the first in Australia, and Falls Creek continues to develop new terrain for riders. The real attraction of this resort is the opportunity to ski at the adjacent Mt McKay, with 365m of true black diamond terrain. Guided snow cat trips take place twice a day and it is well worth the trip. Off the slopes, Falls Creek has more than 4,200 beds in the village ranging from economy style to luxury. There is a variety of self contained apartments, commercial lodges, and self catering lodges. Off-mountain accommodation is available at Mt. Beauty, Bo gong Village, and Howman's Gap. The official opening date for the 2015 season at Falls Creek is the weekend of Friday 5th of June, with Monday 8th being the Queen's Birthday weekend holiday in Victoria. This is just a simple note to the Webmaster for this site Snow-forecast.com. 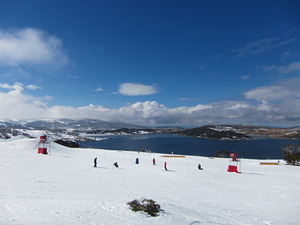 The official opening for season 2015, at Falls Creek, is the weekend of Friday 5th of June, with Monday 8th being the Queen's Birthday weekend holiday in Victoria. Could I suggest that you amend your records to include the correct date for opening weekend.